The Meat Roasting Thermometer is designed to perfect your cooked meat, by advising specific temperatures for different meats. 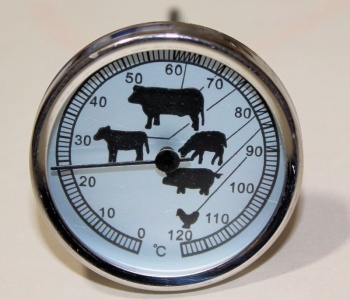 The stainless steel bi-metal thermometer indicates the different types of meat through symbols. The recommended temperatures are indicated for a variety of meat including beef, pork and poultry.